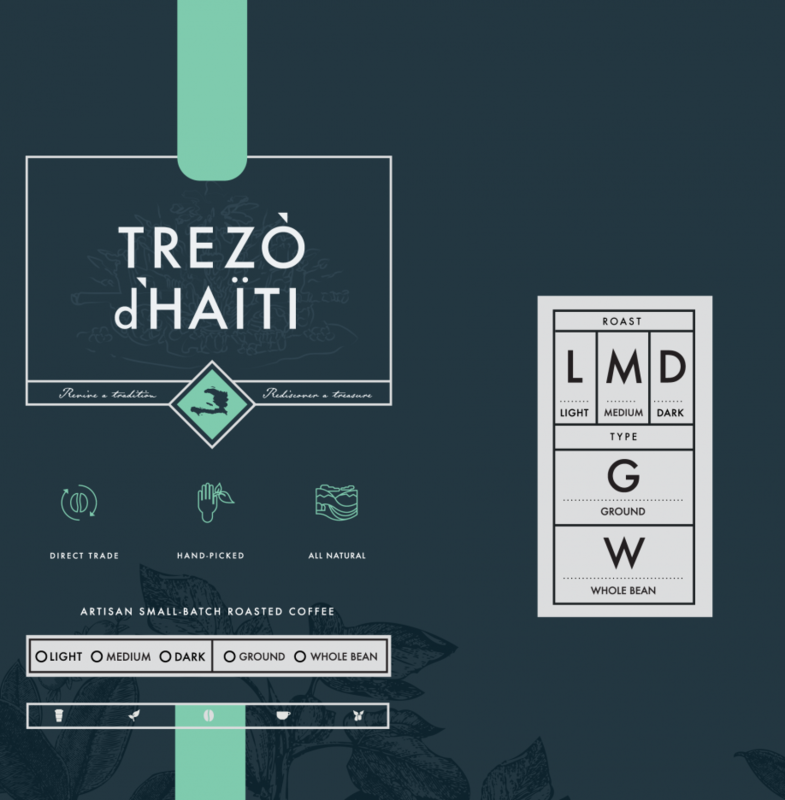 A few months back, an old friend of Column Five, Jason Estopinal, came to us with an exciting opportunity: to create the branding for Trezo d’Haiti Coffee, his new artisan, fair-trade Haitian coffee. We were inspired to work on this project, thanks in large part to Jason’s own enthusiasm about the coffee. 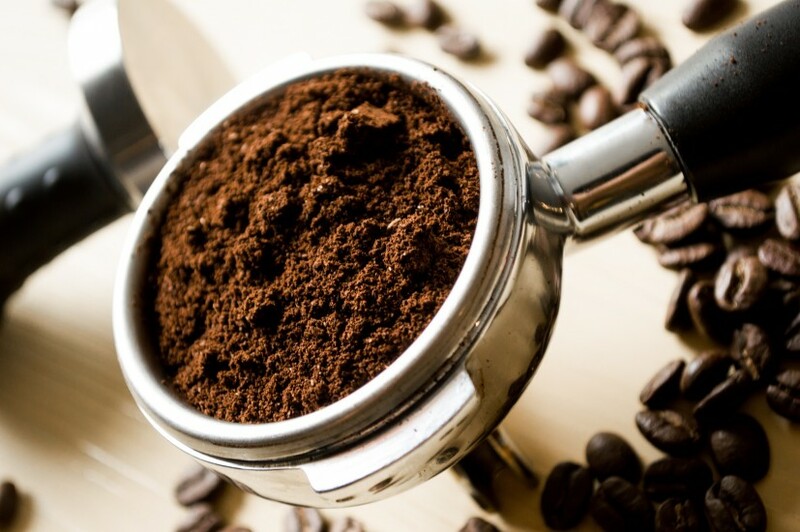 During the course of this project, we learned that in the 18th century, Haiti supplied nearly 60% of the world’s coffee. But by the end of the 20th century, political upheaval and agricultural problems severely hurt the industry. Things have no doubt worsened for the small Caribbean country in recent years. 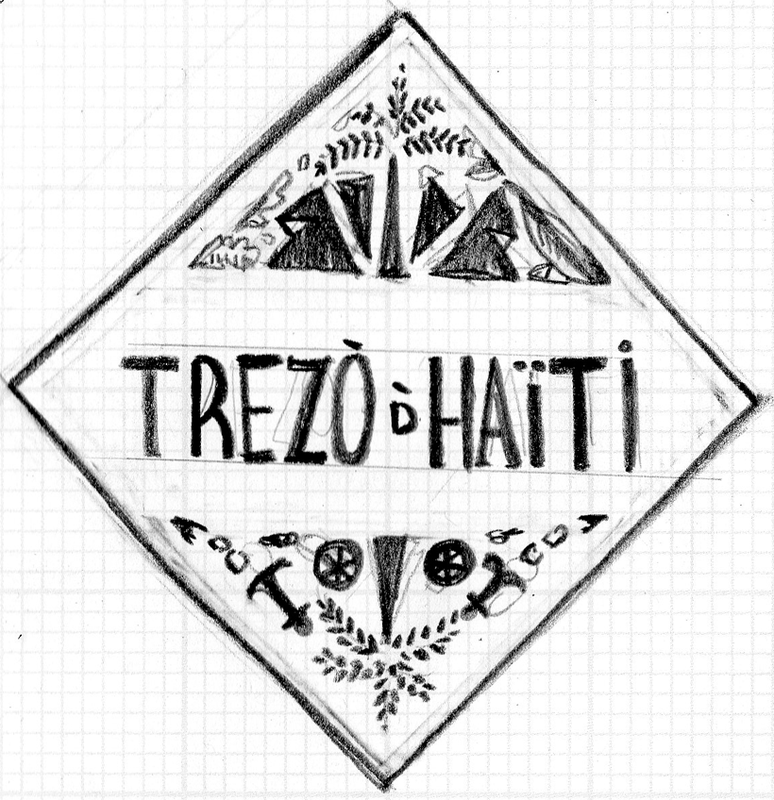 This is where Trezo d’Haiti aims to lend a helping hand. 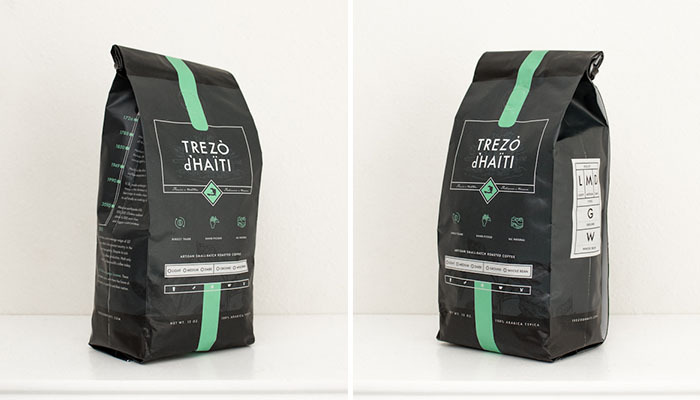 Trezo’s mission is to inspire sustainability, by working with its local network of Haitian farmers to reach new markets with their Arabica Typica beans. 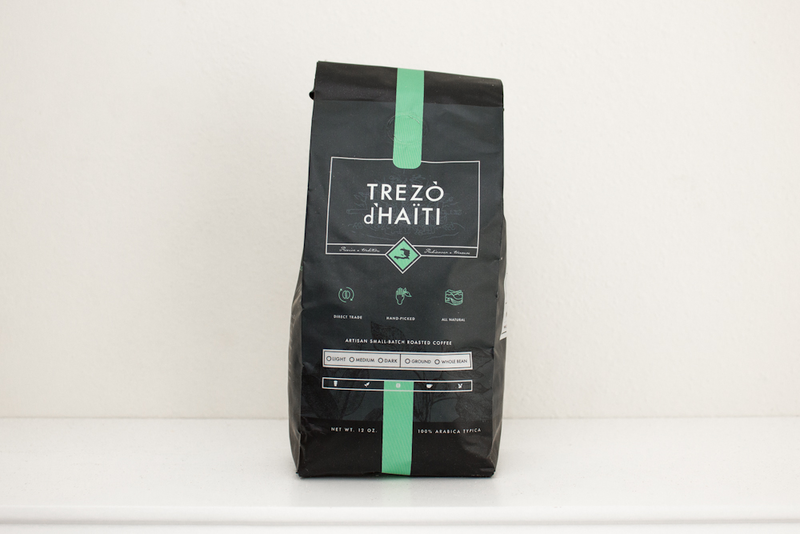 Trezo also aims to help put Haiti back on the map as an exporter of high-quality coffee beans. 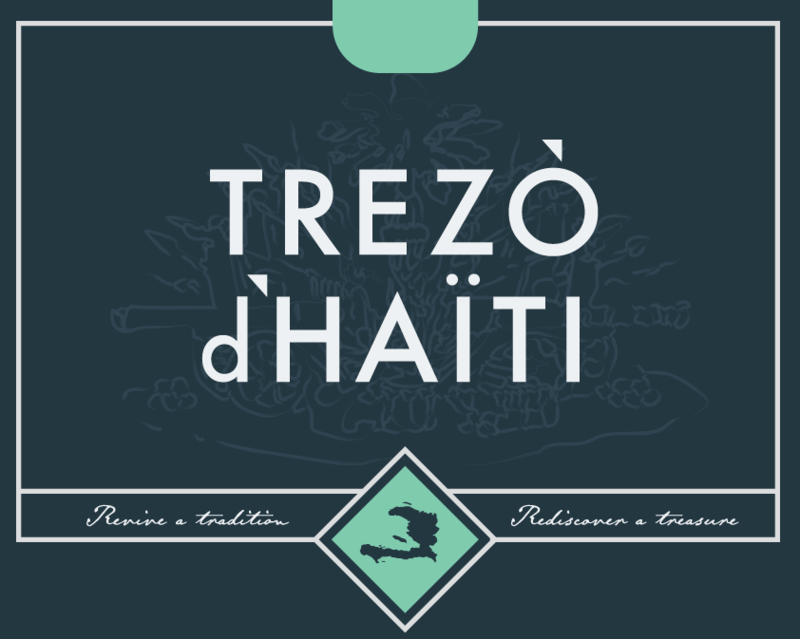 This was the first run for Trezo d’Haiti (translation: “Haiti’s Treasure”). Jason had only the name and the coffee beans to start, so we were privileged to help him build his brand from the ground up. From the logo and color palette to package design and copy, we collaborated with him to create a brand profile that reflects and supports his product and mission. Inspired by the company name, Haiti’s history of coffee production and Trezo d’Haiti’s goal, the tagline “revive a tradition, rediscover a treasure” set the tone for our design inspiration. We wanted a design that would both honor the coffee’s history and emphasize the product’s artisanal quality, all in a modern, sleek package. To start, we turned to 18th century trademarks, emblems, vintage passport stamps and Haiti’s coat of arms for inspiration. We also wanted to integrate elements that related to works created by hand, including things like handwriting, embossing and block prints. 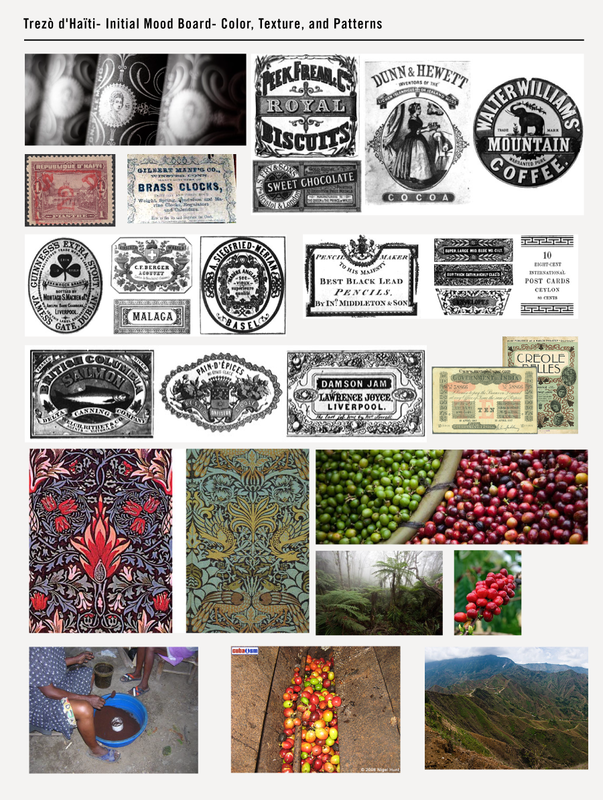 Our mood board included vintage labels, hand lettering and other symbolic images of Haiti’s coffee culture. For the logo, we first toyed around with the idea of taking elements from the coat of arms and recombining them to form an illustration that was almost like a treasure hunt. 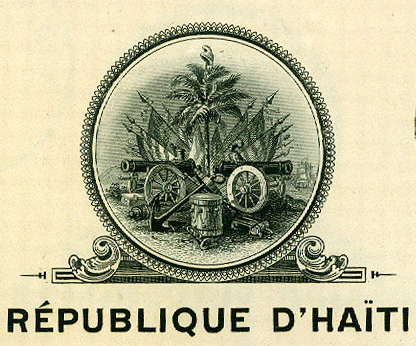 Early logo designs were heavy on symbols inspired by Haiti’s history and coat of arms. But we knew this could be lost on consumers, so the next iteration took a more straightforward approach, with a clean logo and illustration that would appear alongside the product name but not distract. We also adopted a minimalist design, showcasing simple, clean lettering and iconography. An early sketch showcases a minimalist approach. As design rounds continued, we wanted to make sure we appropriately highlighted the logo, while still preserving the coat of arms illustration as a nod to the product’s history and culture. The final coat of arms, which appears behind the Trezo name, was an abstract collage, including the coat of arms, palm trees, Phrygian cap, ship anchors and chains—hidden objects to be rediscovered (echoing the sentiments of the tagline). 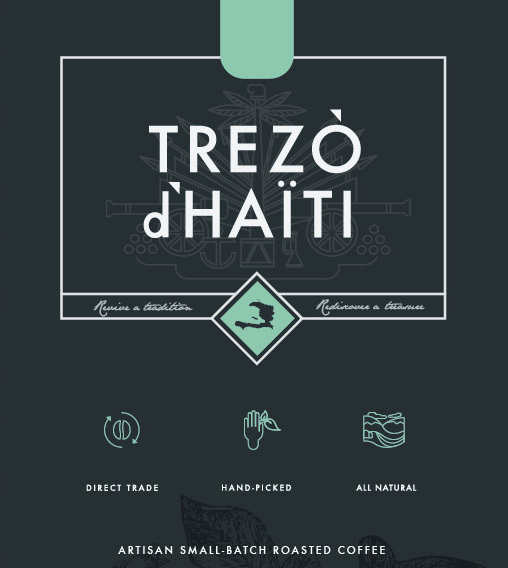 Our interpretation of Haiti’s coat of arms appears behind the Trezo d’Haiti logo. The teal accent color highlights the center map of Haiti, framed by the tagline. Throughout the design process, we aimed to balance form and function while showcasing the brand values. We put the three features—direct trade, hand-picked and all natural—front and center. We also included the flavor profiles on the front and side panels, serving two purposes: They make the bag versatile for the company, because the grind and roast can be marked for each unique batch, and that hand-stamped mark provides a personal touch, so consumers know they are getting an artisanal product. Simple, clean lettering and icons reflect the brand values. To create a cohesive design that extended to each panel, we included depictions of coffee plants and indigenous foliage found in Haiti. The plant illustration style was reminiscent of the 18th century imagery we were initially inspired by. 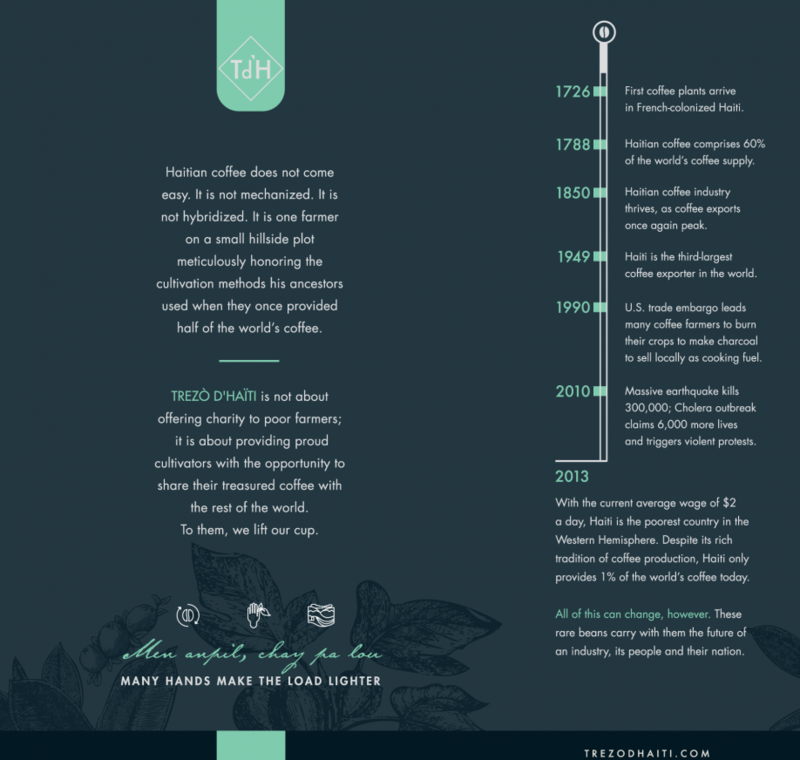 And to inform readers of the coffee’s history and Trezo d’Haiti’s mission, we included a company declaration and timeline of the rise and fall of Haiti’s coffee production. This project was a great collaboration, and as coffee lovers, we were thrilled to get our first delivery. We wish Jason and company the best of luck in their new endeavor. NEED TO REVAMP YOUR BRANDING? LET’S CHAT.